Due to Hurricane Florence, one cruise port will be closed for the next three days and is currently scheduled to reopen on Sunday. The Port of Charleston has announced that they will be closed on Thursday, Friday, and Saturday. Hurricane Florence, a Category 3 storm with maximum sustained winds of 125 mph, is expected to reach the Carolina coast late Thursday or early Friday. 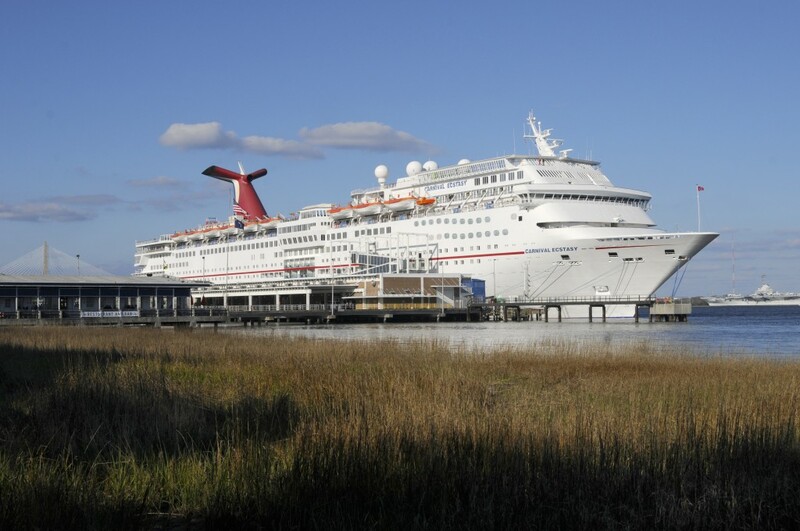 Carnival Cruise Line has one cruise ship scheduled to arrive in Charleston on Sunday. Carnival Ecstacy is scheduled for a six night cruise to Bermuda from the port. Carnival issued an update on their website saying that the current status of this cruise is “will operate as scheduled”. The cruise line is offering text alerts for this sailing by texting CCL2 to 278473.